Earlier this week, GREY2K USA sent Governor Jan Brewer a letter asking that she remove Arizona Racing Commissioner Rory Goree for inappropriate public statements he has made. In recent months, Goree has made a sexual remark regarding GREY2K USA Board President Christine Dorchak, mocked Christine over a near-fatal accident she suffered two decades ago, stated that he wanted to make it much more difficult for citizen groups to submit public information requests, and also suggested that confidential tips of greyhound cruelty should not be reported to the authorities. "This has riled up my Russian temper, causing me (on occasion) to go off the rails and express myself in ways that were probably not appropriate or thoughtfully considered ... To those whom I may have offended in the past, I offer my sincere apologies." I'm glad that Goree now acknowledges his statements were inappropriate. His apology is factually incorrect, however, in claiming that these inappropriate statements were in response to "personal attacks" directed at him. An examination of his full comments, in context, clearly shows that is not the case. "My job is to make sure that racing in Arizona is clean, well-regulated and (most important to me) humane. I plan to focus on that goal from this point forward, so don't be surprised if you notice a new, more civil tone to my comments." If Goree is sincere in this regard, then I look forward to working with him to make positive changes. 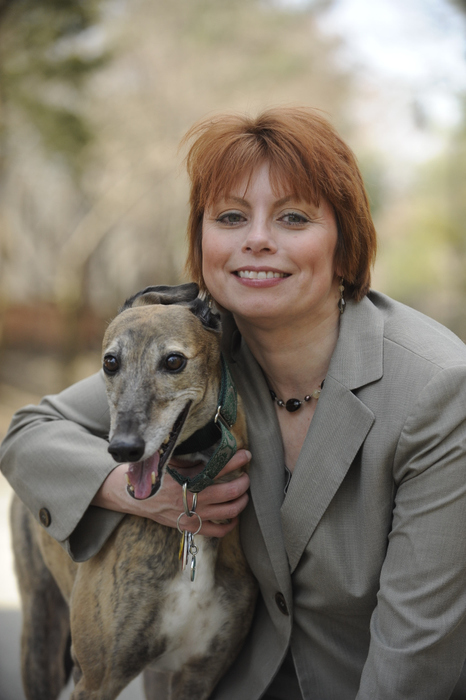 As a first step, I propose working directly with Goree and other Racing Commissioners to fully implement the Tucson Dog Protection Act, a local ordinance passed by voters in 2008 to improve humane conditions at Tucson Greyhound Park. This law prohibits extensive confinement of racing greyhounds, prohibits the use of anabolic steroids, and prohibits the use of raw ‘4-D’ meat from downed and diseased animals. So far, the track has refused to adhere to this humane law, and is simply thumbing its nose at the voters. Even though Goree did not support this humane law when it was proposed, we are hopeful that as a member of the Racing Commission he will acknowledge that duly passed citizen laws should be honored and implemented. It's hard to know if Goree is sincere in his apology, but actions speak louder than words. He now has an opportunity to demonstrate his commitment to greyhound welfare by setting aside differences and working with us. I hope he accepts my offer of collaboration. It would be wonderful if these reprehensible public comments were instead turned into a positive for the greyhounds. I think that is possible, and the ball is in Rory Goree's court. And if Mr. Rory Goree is sincere in his spiel to "make sure that racing in Arizona is clean, well-regulated and (most important to me) humane" then perhaps he can convince the powers that be to do away with the loop hole of not providing public information requests for injury reports. The public wants to know why and how dogs are injured and how many are euthanized. There's nothing more "humane" than that. Otherwise it's lack of transparency as usual. It's strange that folks like this never apologize until someone calls them out for their actions. In order to demonstrate that his apology is sincere, it makes sense that he find out exactly what the track 'vet' is doing. Go, Christine! May the best find our beloved greyhounds going forward! Thank you for your dedication!